Soldiers with the Israeli Defence Forces watch on Sunday, July 22, 2018, as family members of the White Helmets load onto the buses that took them to safety in Jordan. The operation that saved more than 400 people – members of Syria’s famed White Helmets and their families – began with a meeting in Istanbul between Raed Salah, one of the group’s leaders, and a Canadian diplomat who would go on to persuade her government it needed to mobilize a rescue effort before it was too late. At that meeting in late June, Mr. Salah made an extraordinary plea to Robin Wettlaufer, Canada’s Istanbul-based special envoy to Syria. Forces loyal to the regime of Bashar al-Assad would soon recapture the rebel-held southwest of Syria, he told her. And while surrender deals were being negotiated to allow some rebels and civilians to leave, no truce was being offered to anyone in the area who had worked with the White Helmets, a group of Syrian volunteers who help victims after attacks. The White Helmets has received money from Canada and other Western governments throughout its years-long effort to save as many people as possible from the ravages of Syria’s civil war, pulling the dead and wounded from the rubble of buildings destroyed by Mr. al-Assad and his Russian allies. They were also the subject of an Oscar-winning documentary that portrayed the rescuers as among the few heroes in Syria’s gruesome conflict. But now Mr. Salah and his group needed a more substantive type of assistance. He told Ms. Wettlaufer that Canada and its allies needed to help some 800 people – members of the White Helmets and their families – get out of southern Syria as soon as possible. Otherwise, the volunteers would face torture, and likely worse, at the hands of the regime. What happened next was a triumph of behind-the-scenes Canadian diplomacy rivaled only by the “Canadian caper,” in which staff at Canada’s Embassy in Tehran helped six U.S. diplomats evade capture during the first weeks after the 1979 Islamic Revolution there, and eventually to escape. Canada is now being widely hailed for its leadership on the operation to rescue the White Helmets from Mr. al-Assad’s forces. The details of how it all came to pass are reported on Tuesday for the first time by The Globe and Mail – and sources say that much of the credit belongs to Ms. Wettlaufer, in particular, as well as to Foreign Affairs Minister Chrystia Freeland, and Canada’s Ambassador to Jordan, Peter MacDougall. Unfortunately, this second Canadian caper was not the unqualified success that the Iran operation was. Of the more than 800 people approved for rescue (and resettlement in Canada, Britain and Germany), only 422 made the journey to Israel and on to Jordan over the weekend: 98 rescue workers and their families, including one baby who was born during the dramatic flight. The route to safety for more than 400 others was blocked when Islamic State fighters appeared near the crossing to the Israeli-controlled Golan Heights amid the rescue operation. The battlefield situation has shifted again since, and Mr. al-Assad’s forces now appear to be in complete control of Syria’s southwestern border areas. 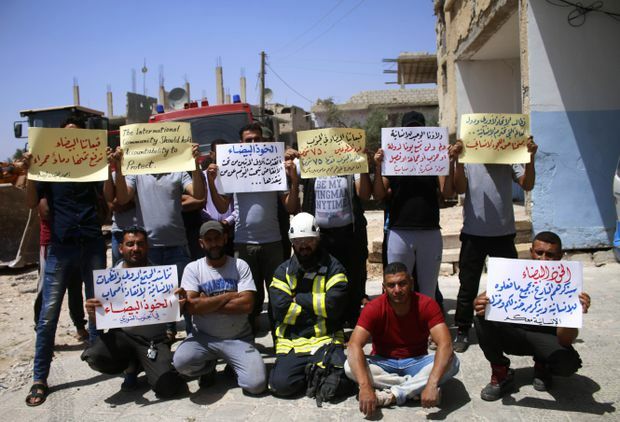 White Helmet rescue workers still trapped in Syria hold up signs urging the international community to help evacuate them on Tuesday, July 24, 2018. Leaders of the White Helmets – a group formally known as Syria Civil Defense that gets its nickname from the white hardhats members wear – are nonetheless praising Canada for its role in persuading other countries that saving as many of them as possible should be an urgent priority. Ms. Freeland used the July 11 and 12 summit of the North Atlantic Treaty Organization (NATO) to make an impassioned plea, after which Germany and Britain agreed to take in some of the high-profile refugees. Her speech to the other NATO foreign ministers may also have helped nudge U.S. President Donald Trump to use his clout with Israeli Prime Minister Benjamin Netanyahu to get Israel to open its border and allow the transit of the White Helmets to Jordan. What Ms. Wettlaufer quickly grasped, and then conveyed to others, was that Mr. al-Assad and his allies would show no mercy to any White Helmets who surrendered. Members of the White Helmets search for people trapped in the rubble of destroyed buildings in Aleppo in 2016. The Syrian and Russian governments brand the White Helmets a “terrorist” organization, a claim supported only by a few photographs of White Helmets members clutching weapons. Some White Helmets are former fighters who say they decided that doing rescue work could help their country more. The group’s practice of making videos of its rescue operations and posting them online has stirred international outrage against the Assad regime’s use of barrel bombs and other indiscriminate weaponry in civilian areas. White Helmet videos also provided the initial evidence – later substantiated by the Organisation for the Prohibition of Chemical Weapons – that pro-government forces had used chemical weapons during the seven-year-old war, drawing two waves of retaliatory U.S.-led air strikes. Brittany Fletcher, a spokeswoman for Global Affairs Canada, said Canada had given $7.5-million to the White Helmets over two years. Ms. Fletcher said the money was for training White Helmets in explosives-removal techniques, and to get more women involved in managing the organization. Ms. Wettlaufer declined to be interviewed for this article – deferring questions to Global Affairs Canada headquarters – but sources in Ottawa and the Middle East agreed that her determination, and her “sufficiently alarmed” reports from Istanbul, persuaded Ms. Freeland and her department to champion the idea of rescuing the White Helmets trapped in southern Syria. “It was Robin that raised the flag that we don’t want to be seen turning our backs on a group that has been assisting civilians and needs our help,” according to a senior Canadian official with knowledge of the discussions, which had begun about a month ago. Sources say Ms. Wettlaufer spoke directly with Ms. Freeland about the file. 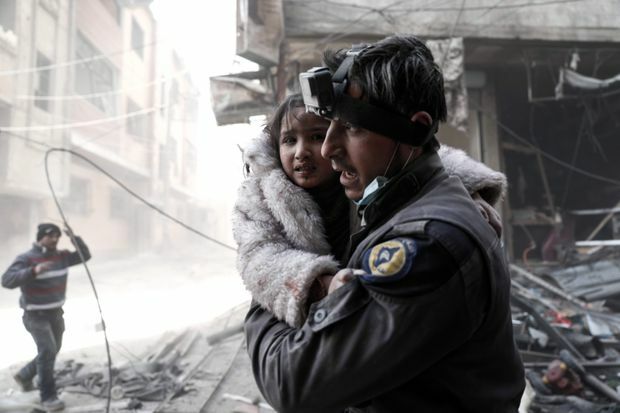 “When Canada heard about the desperate situation of the members of the White Helmets, we could not turn our back on people who had been running around risking their lives when everybody else was running away,” said Omar Alghabra, the parliamentary secretary for Foreign Affairs. Getting Germany and Britain to accept some of the White Helmets – despite growing hostility towards refugees and immigrants in both societies – was only one step. Ms. Freeland and her diplomats also pushed hard for Syria’s neighbours to take part. 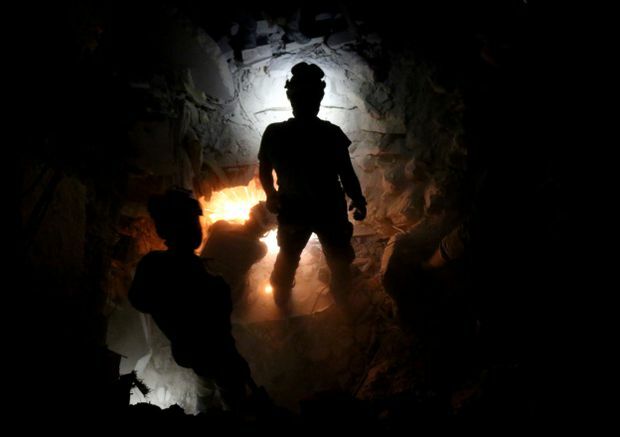 Sources say the original plan had been to bring the 800 White Helmets and their families directly to Jordan, but that option disappeared because Mr. al-Assad’s forces advanced more quickly than expected, taking over the border area before the evacuation could begin. But just a few days after that, on the night of July 21, Israel opened its frontier for the White Helmets. The transport convoy takes the White Helmets and family members through the Golan Heights. Prime Minister Justin Trudeau also called Mr. Netanyahu, as did Mr. Trump. But Mr. Barkan said that was mostly to discuss the specifics of the operation. Israel had already decided to act. The operation to rescue the White Helmets effectively marked the end of the “Good Fence” policy – supporting anti-Assad rebels on the Syrian side of the Golan Heights – that Israel has adopted over the latter years of Syria’s civil war, which began in 2011 after Syrian police opened fire on peaceful anti-Assad protests. The 422 people – White Helmets and family members – who crossed into Israel on Saturday and Sunday were able to do so because Israeli-backed rebels controlled the territory they had to cross. By the end of Sunday, that territory was back in the hands of the Syrian army. “The reason Israel publicized the fact that we did this is we realized the whole Good Fence project is finished and the Syrians would be back at the border within hours,” Mr. Barkan said. In other words, there will be no second evacuation – at least not through Israel – for those White Helmets still trapped in Syria. A member of the White Helmets carries a wounded girl amid the rubble following in Douma in 2017. 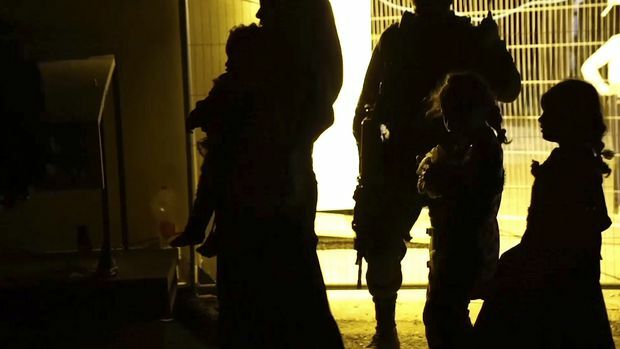 Paul Ronzheimer, a German journalist who was one of the few witnesses to the evacuation, said the operation began on Saturday evening local time in the Golan Heights, during what appeared to be a lull in the fighting on the other side of the border. Those who arrived at the Golan crossing were met by United Nations vehicles, who checked their names against a list and drove them to a nearby Israeli army base. Persuading the Jordanian government to take part was another challenge. Jordan, a country of just 9.5 million people that already hosts almost 700,000 Syrian refugees – and large communities of Palestinian, Iraqi and Lebanese refugees from previous Middle Eastern conflicts – agreed only after receiving assurances via Mr. MacDougall, the Canadian ambassador, that the stays of the White Helmets and their families would be as short as possible. Mr. MacDougall and other staff at the Canadian mission in Amman, along with their British colleagues, also worked the phones on Saturday night and early Sunday morning to resolve the cases of individuals who had arrived in Golan without documentation. In the end, all 422 were allowed to cross from Israel into Jordan, where – because of security concerns – they are now at an undisclosed location. Canada had planned to accept 50 White Helmets and their families, which could have meant as many as 250 people. However, that was based on the expectation that more than 800 people would get out of Syria, so it is likely a smaller number will arrive. A senior Canadian official said that the UN High Commission for Refugees would screen and interview the White Helmets and their families at centres in Jordan – where many of the 50,000 Syrian refugees who were resettled to Canada in 2015 and 2016 were screened – and recommend which families should go to which countries. The new refugees would likely start arriving in Canada, Germany and Britain within five or six weeks, the official said. Mr. Le Mesurier said he was worried the West would pat itself on the back and walk away from the White Helmets once the 422 evacuees were in their new homes. The war for Syria continues, he said – even if it now seems likely that Mr. al-Assad and his allies will prevail – and the other White Helmets will try to save as many lives as they can. Editor’s note: In a previous version of this article, it was stated that James Le Mesurier had worked for MI-5. In fact, he is a former British officer.